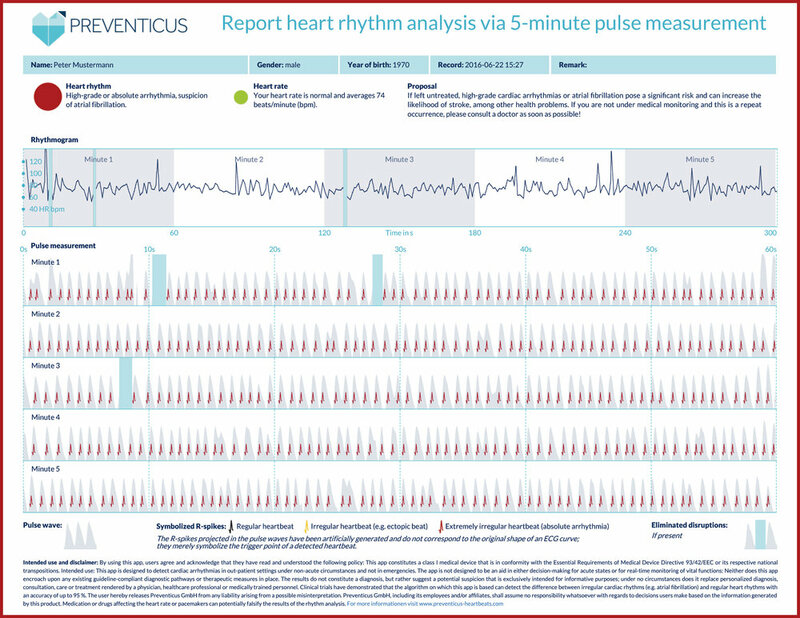 Preventicus helps patients and doctors to monitor the heart and to prevent stroke and myocardial infarction. 24/7 heart rhythm analysis using a smartwatch or periodic intermittent testing using a smartphone saves lives by detecting atrial fibrillation and other heart rhythm conditions in a reliable and medically approved manner. Heart conditions go unnoticed because measurements in the doctor’s office are brief and incidental, and mostly only after symptoms have arrived. Problems are found too late, leading to cardiac disease, stroke and other related diseases as well as medical costs. Continuous signal processing, pulse waveform analysis and deep learning on ever increasing datasets derived from smartwatches and smartphones provide reliable detection of Atrial Fibrillation, an abnormal heart rhythm associated with stroke, dementia and many other conditions. Timely treatment, lifestyle advice and regular monitoring will preserve cardiac health, which is key to a healthy ageing process. Preventicus successfully sells the Heartbeats app, Nightwatch and the MyPreventicus subscription to healthy individuals and patients . Automatically created reports can optionally be analysed in Telecare Centers, in order to verfiy and enhance a medical diagnosis and consultation. Preventicus works together with insurance companies to provide screening services to their insured populations in order to lower disease related costs. 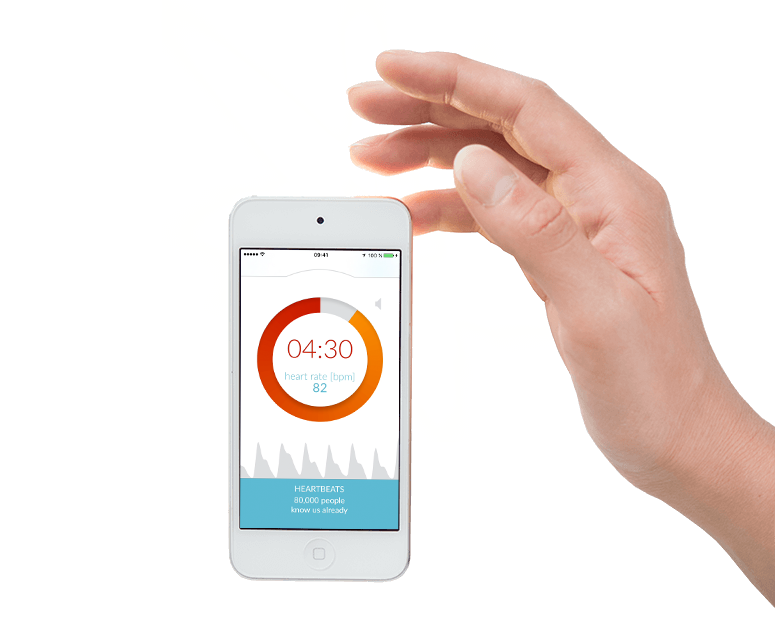 For pharmaceutical companies Preventicus provides treatment adherence - and monitoring tools to doctors and patients. Researchers obtain advanced diagnostic information and insights into patient populations. Before founding Preventicus in 2014 Thomas Huebner succesfully acted as CEO in life science companies for 15 years. Diagnostic devices which Thomas developed during that period have been chosen as the golden standard in one of the largest epidemiological trials, in order to obtain cardiovascular reference values from 200,000 study participants („Helmholtz cohort“). Thomas received a M.Sc. degree in biomedical engineering and a Ph.D. degree in health economics. He applied for 14 patents and is (co)author of 20 scientific publications. Adriaan Hart de Ruijter joined the consortium and the founders in the board in 2016. ‘Adriaan supports us with a new definition of the business, allowing us to move from great technology to functional business models’, according to Dr Thomas Huebner.